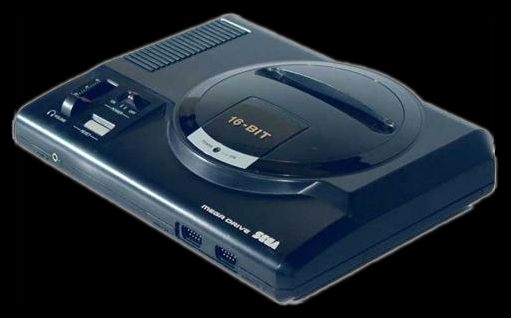 Not a bad machine at all, but most games were ports from other systems such as the Amiga. This made owning one quite pointless for me even though it was a pretty good piece of hardware. 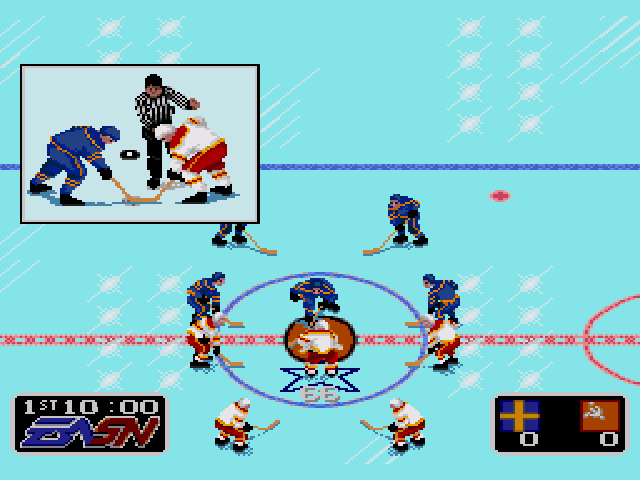 Having said that I must emphasize that the Mega Drive was the machine to introduce the NHL video game series. As I bought it in Europe, it featured international teams and was named "EA Hockey" instead of "NHL Hockey". Even though I have never had an interest in sports, this game hooked me completely with it's great gameplay and high level of skill. 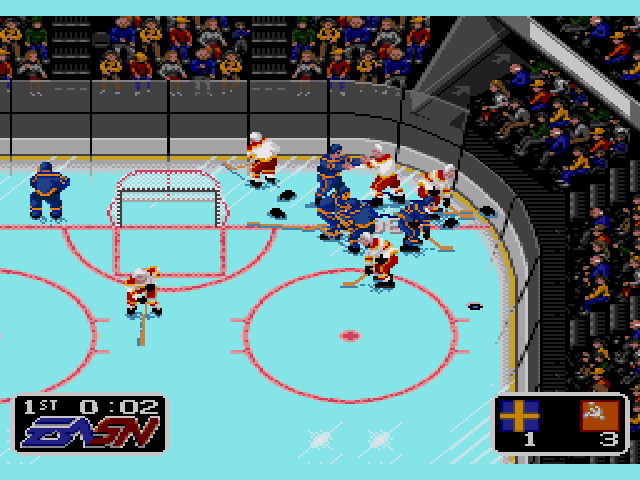 It also felt very advanced as it entered special sequences when trying to gain control of the puck during a face-off or if the player got into a fight. The fights were pointless in terms of advantage but a fun feature nonetheless. One should not forget to mention that this wonderful game had 2 player support. This made it even more enjoyable to add it to the collection. 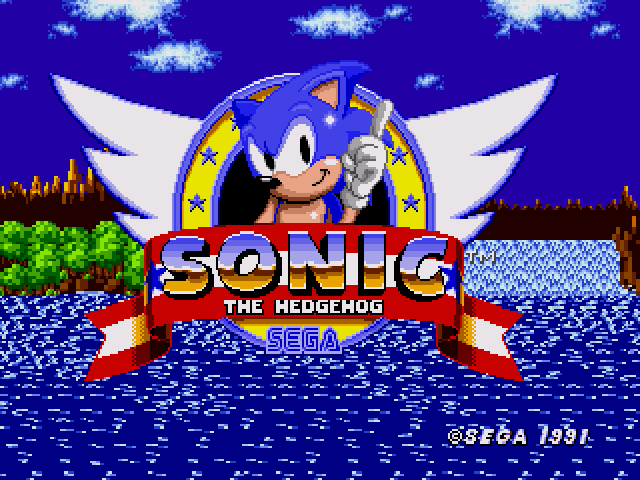 Sonic the Hedgehog was of course a very good game. 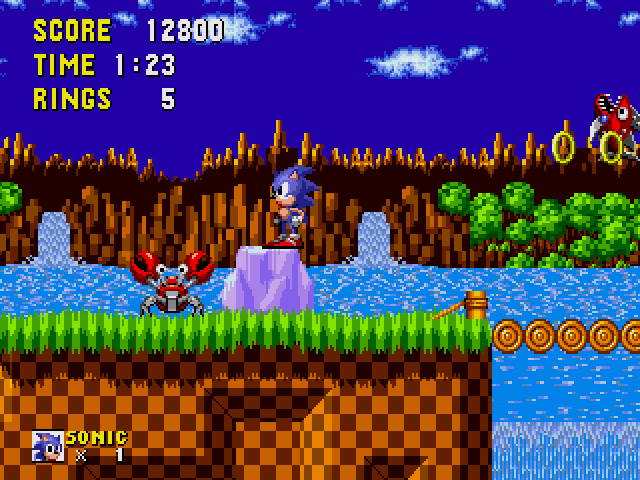 Sega bragged about how fast Sonic ran at top speed around the screen. It had very nice graphics for it's time. The levels were very well made and I still remember the music. It did not offer much of which I hadn't seen before, but it still put it's mark in my video game history. 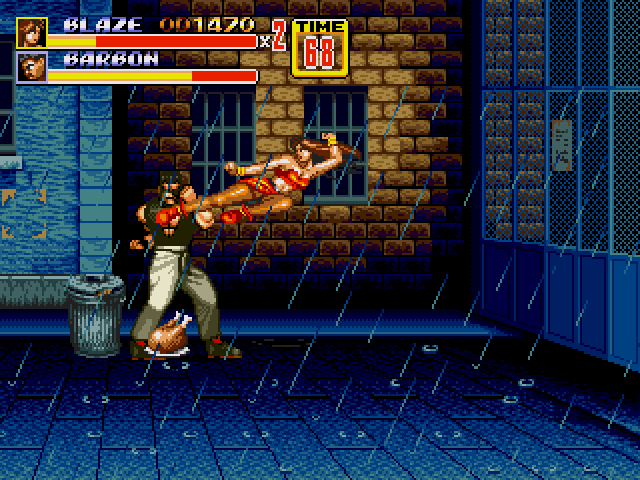 Streets of Rage 2 was one of the best beat em ups ever made in it's time. 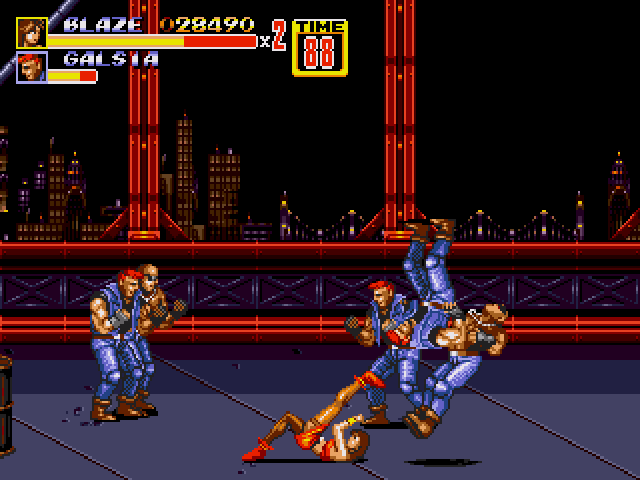 Of course it had problems to rival "Robo Army" or "Mutation Nation" on Neo Geo, but consider it being an "ordinary" console game, Street's of Rage was a masterpiece.